Throw your cap up in the air! Make your graduation ceremony unforgettable with your personal graduation Cap. 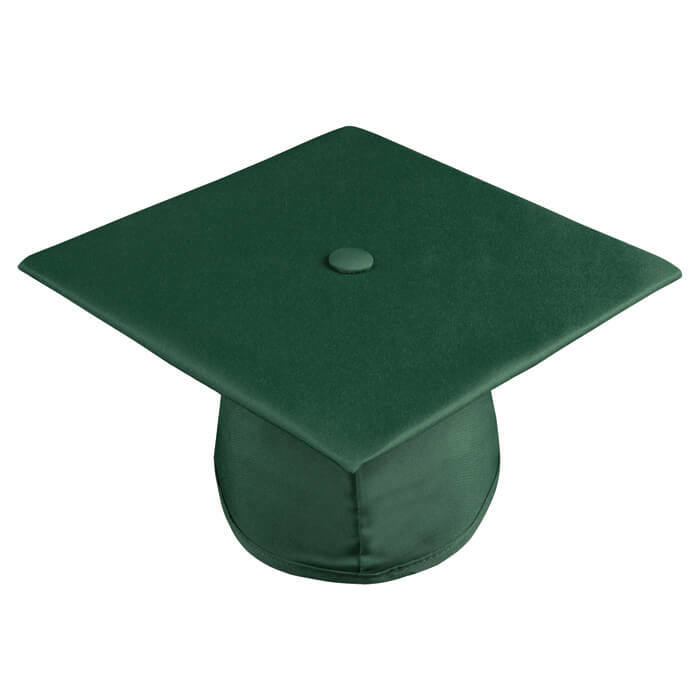 Our Hunter Green Graduation Cap is a high-quality product with a nice matte finish, just as our Graduation Gown. On top of the Graduation Cap is a button where you can attach a colorful Tassel. The Graduation Cap has an elastic band on the back and is therefore available in one universal size. The Graduation Cap fits good on every head and is very comfortable. The ultimate experience? Make your outfit complete! Chose a set. This is a Graduation Gown and a Graduation Cap. Don’t see the color you want? Don’t worry, Caps and Gowns can deliver everything! Our Graduation Caps are available in every color. Besides that, it’s also possible to print your logo on your Graduation Cap. Click here for all the possibilities or contact us directly.